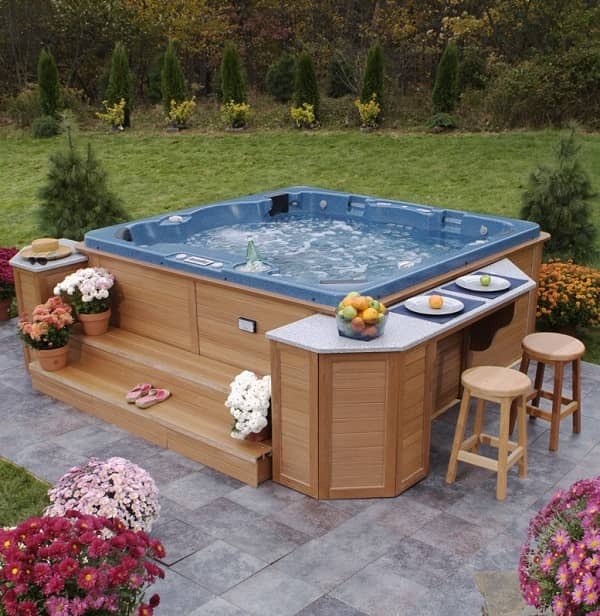 When it comes to a hot tub, everyone will love it so much. People adore the relaxing sensation when you soak your body in the heat of the water. 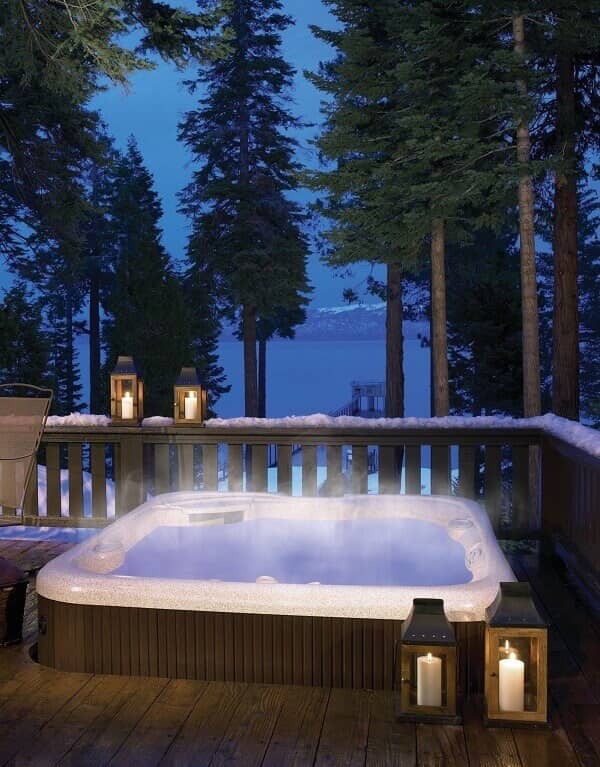 Hot tub has so many benefits, from relaxation to health improvement. Having a tub at your home is a fun stuff, you don’t have to go to a spa to relieve your stiff muscles and improve the blood stream. 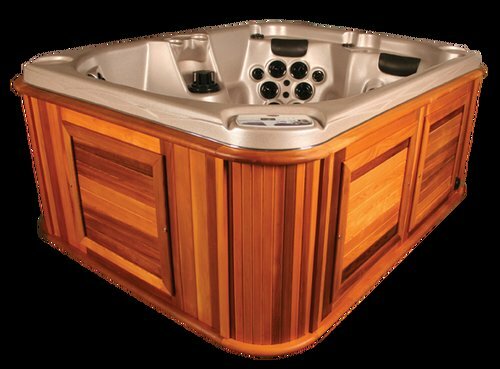 A wood fired hot tub is an affordable hot tub which doesn’t need any electricity, different from expensive acrylic spas. It is just natural and simple spa that can give you convenient relaxing time. 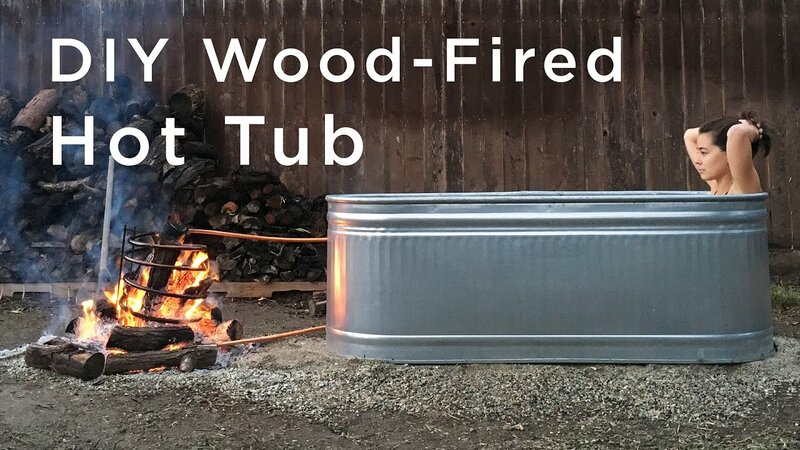 You can buy a pre-assembled wood-fired hot tub kit, or do a total DIY one. If you prefer to prepare everything by yourself, from preparing the kit to assemble the tub, here we share you about the DIY wood-fired hot tub kit and steps. Enjoy! Make two footings for the tub on top of some packed gravel. Forms the concrete mix out of crap melamine. Let them dry. Add few bags of gravels and sand on top of the footings to bury them. Make the heating coil by the copper tubing. Wrapped the copper tubing around the bucket, make the coil to be about 18 inches tall from top to bottom. Make the braces for the coil from the steel bars. Mark the locations on the steel bars for the bolt and drilled a series of holes. Bolted the steel bars around the copper coil. Make the through-wall fitting. Drill one and three-eights inch diameter holes on the stock tank 18 inches apart. Thread the tank fittings through the holes. Use silicone to seal the fittings. Screw in some compression fittings to connect the tub with the coil. Insert the end of the copper (which has been trimmed) to the compression fittings. Pounded the steel bars into the ground. 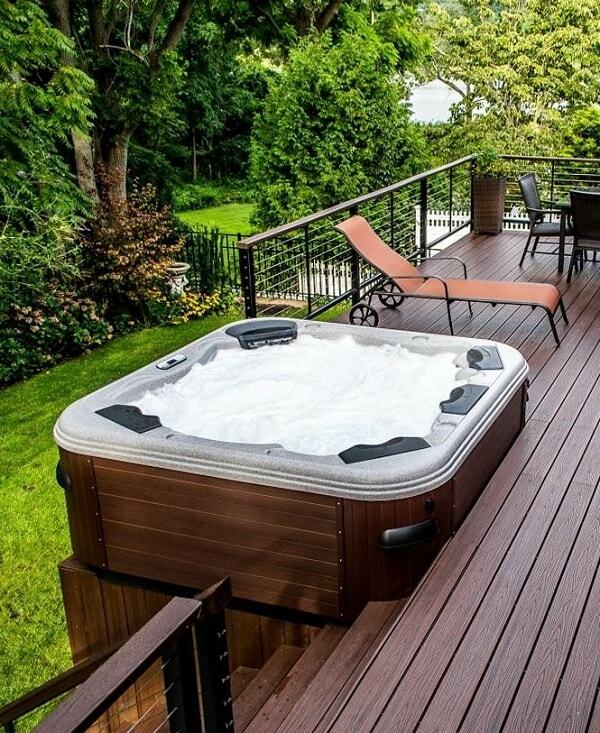 Make the hot tub cover. Screwed together the wood bars. Cut the underside into curvy line. 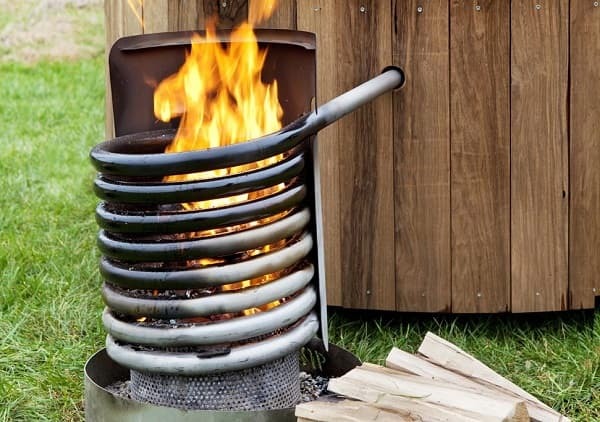 With two big armfuls of firewood, 56 degrees F water, and 63 degrees F ambient temperature, it takes about two hours to get 110 degrees F hot water. You can add second copper foil or larger diameter copper tubing to speed up the temperature rise. 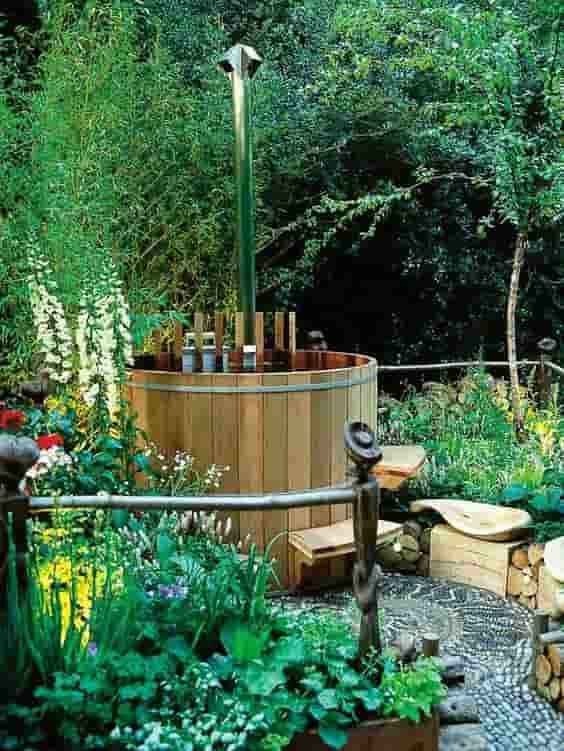 Beautify the tub by building a wood enclosure, so you will feel more incredible relaxing sensation. 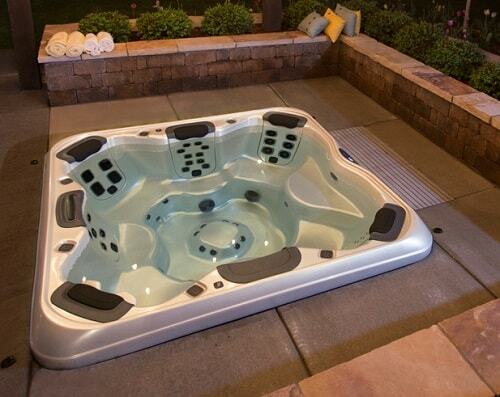 This easy to assemble hot tub is really worth a try. 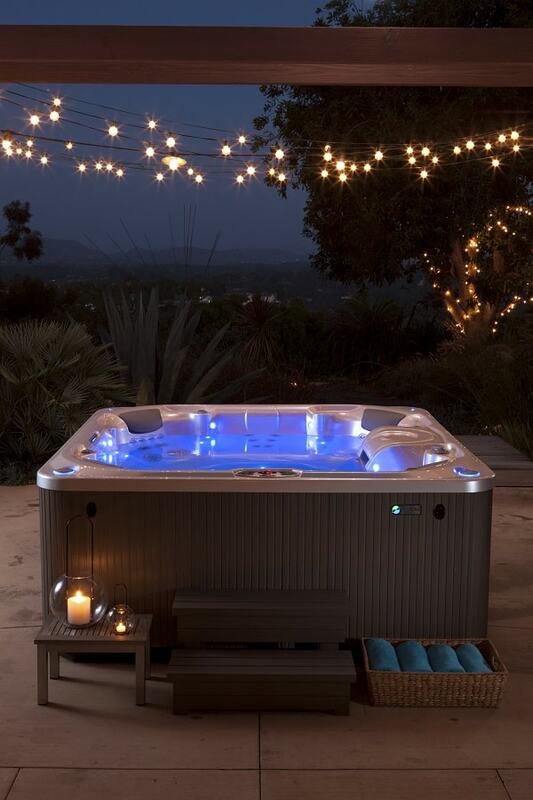 You can have relaxing time anytime you want in your backyard. 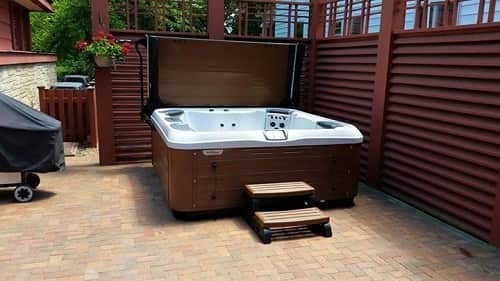 If you want to spend the spas time with some friends or family, you can purchase larger galvanized steel tank available in the market.